Ubisoft’s Watch Dogs is being enjoyed by gamers on all platforms, but PC gamers are more happy with the game than ever. Just like Grand Theft Auto V, PC modders are giving Watch Dogs some really impressive visual therapies. Until now, several mods have been created that give a boost to the visuals of Ubisoft’s open world action-adventure game and improve the overall gameplay experience, one of these mods is known as TheWorse Mod, and here is a long list of what its recently released latest version packs. Soon after Ubisoft released its most highly anticipated hacker-themed video game, PC modders started to work on some visuals mods for the game. One of the Guru3D members known as TheWorse discovered some graphics files that were hidden within the game’s PC directory. After unpacking the files, TheWorse made a mod that improved the overall performance of the game and boosted the visuals, making the in-game environments and characters look completely stunning. Since the discovery, TheWorse has updated his Watch Dogs graphical enhancement mod with several new tweaks and additions, and the latest version of TheWorse Mod has just been released. 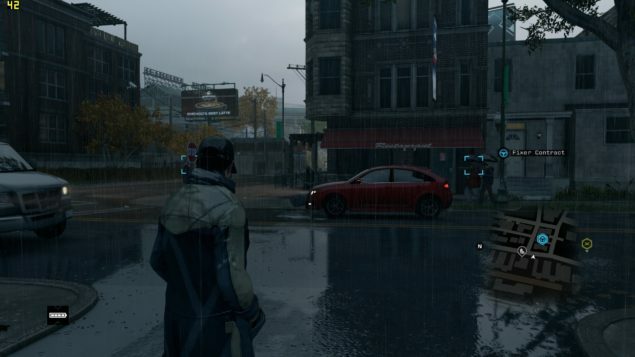 As promised by the creator, TheWorse Mod 0.97 version will further improve your Watch Dogs PC visuals, adding new headlight, lighting, rain and several other effects to the game. According to the notes, this is apparently the final version of the mod so everything should work smoothly. TheWorse has moved the mod to a new dedicated blog site, probably due to the drama that happened in the original forum thread last week. Here is the download link to TheWorse Mod 0.97 version. The notes for TheWorse Mod 0.97 version are as follows.